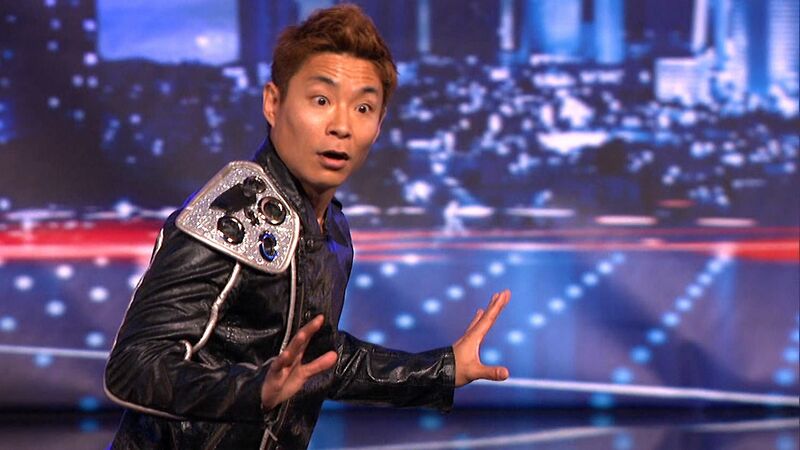 Many people never heard of Kenichi Ebina before he was named the winner for Season 8 of NBC’s “America’s Got Talent,” but he’s no stranger to the spotlight. Ebina, who is in the midst of an AGT national tour that includes L.A.’s Greek Theatre on Thursday, has been performing his signature combination of hip-hop, martial arts, modern dance and magic for well over a decade in the U.S. and has his own group, Ebina Performing Arts. Among other accomplishments, the self-taught dancer/choreographer founded BiTriP (Bi-Triangle Performance), an all-Japanese hip-hop group that won Amateur Night at the Apollo Theater; won the Apollo’s grand championship again as a solo performer; did a full-evening solo show at the Kennedy Center in Washington, D.C.; worked with Cirque du Soleil; and performed at private parties for such notables as Madonna and the royal family of Morocco. The producers of AGT asked him to audition for the show, and he went on to impress both the judges and the public with every performance. Still, when finalists were narrowed down to him, country singer Jimmy Rose and comedian Taylor Williamson, Ebina kept thinking that one of the others would be chosen and was surprised that he won, he said in a recent telephone interview. A unique aspect of his AGT numbers was the use of digital projections that allowed Ebina to dance and interact with other characters, all played by him, and with all kinds of visual effects. One number placed him in a giant video game, while another had him squaring off against a pre-recorded mirror image of himself. Kenichi Ebina during one of his AGT numbers. AGT’s budget provided the green-screen technology and other elements that Ebina needed to bring his vision to life. Since the AGT finale in September, he has appeared on such talk shows as “Arsenio” and “Late Night with Jimmy Fallon,” and is recognized wherever he goes. His win was also big news in his native Japan. TV Tokyo’s “Crossroad” has just broadcast a segment about his U.S. tour. “I was surprised … much bigger influence than I expected,” he commented. Born in 1974, Ebina grew up in the Tokyo and Osaka areas and moved to Connecticut as a student when he was 20. He now divides his time between the U.S. and Japan, where his wife and daughter live. Also in demand as a motivational speaker, Ebina gave a TED (Technology, Entertainment, Design) talk in Monterey in 2007 and more recently did a corporate event in Miyazaki. For more information, visit Ebina on Facebook or go to www.ebinaperformingarts.com. For details of the tour, go to http://agtlivetour.com/.